How many emails do you get? How many do you read? I’m not one of those people who will tell you to forget about using email altogether – it’s still a useful and reliable tool for a great many things – but recruiters’ inboxes are usually pretty stuffed. I think it’s safe to say most recruiters have had a few candidates get lost or forgotten in the shuffle of email. The most common negative experience had by candidates is that of applying and never hearing back. Don’t do this. Tell candidates if someone else got hired, tell them they should keep their eye out for other jobs, and give them feedback. 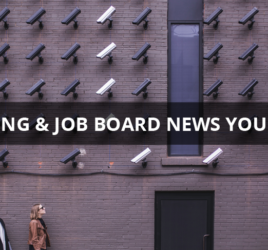 Alternatively, setting up some automated marketing with interesting and helpful content or customizing job alerts for candidates can help with ongoing engagement. “We’ll keep your resume on file” might technically be true, but how often do you go looking through those files when you’re hiring? Candidates who weren’t quite right for one particular job aren’t going to stay frozen in time after you stop talking to them. They will continue to move on in their careers, gain new experience, new skills, and more training, but you won’t have a clue because the resume they sent you two years ago doesn’t update itself. By keeping your candidates engaged, following up with them, or coaching them to keep you up to date on their updated resume-profile, you can reliably search the people you’ve already connected with and qualified while you continue to attract new people. How do you get customers as a recruiting company? Maybe you already have established relationships and a solid customer base, but you always need to have an eye on growth and keep building a steady sales pipeline for the future. One tactic that recruiters and many job boards use to generate business is to start with advertising jobs for the companies they want to gain as customers. Post and promote one of the roles they are trying to fill, and come up with a shortlist of awesome candidates you’d like them to consider. A sales pitch that comes along with proof of the value of your service can take you a lot further with customers. Google for Jobs has arrived and does matter. If your jobs aren’t posted somewhere that uses the right markup, Google won’t recognize it as a job post and will assume it’s just another webpage. This means it won’t show up in Google for Jobs searches, and you won’t benefit from that source of job seeker traffic. If your team doesn’t have the bandwidth or resources to figure it out, try partnering with a technology partner who supports Google for Jobs formatting.